New York: Peter Blum Edition. Compact Disc recording by Barbara Bloom in collaboration with artist and composer Christian Marclay. 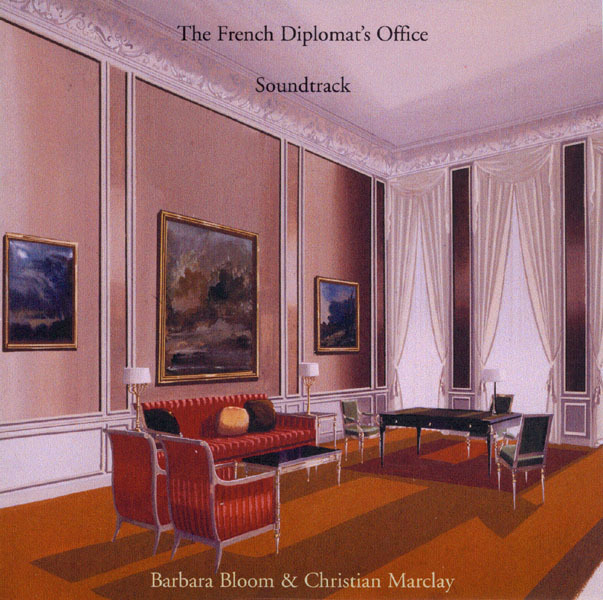 This CD was produced as a soundtrack to the installation by Bloom, The French Diplomat’s Office, consisting of a mix of French movie music and sounds that could have occurred in this room. Edition of 250 signed and numbered by Barbara Bloom and Christian Marclay.